Milan, a few months before Design Week 2017. We’re on a mission in the streets of the city centre. 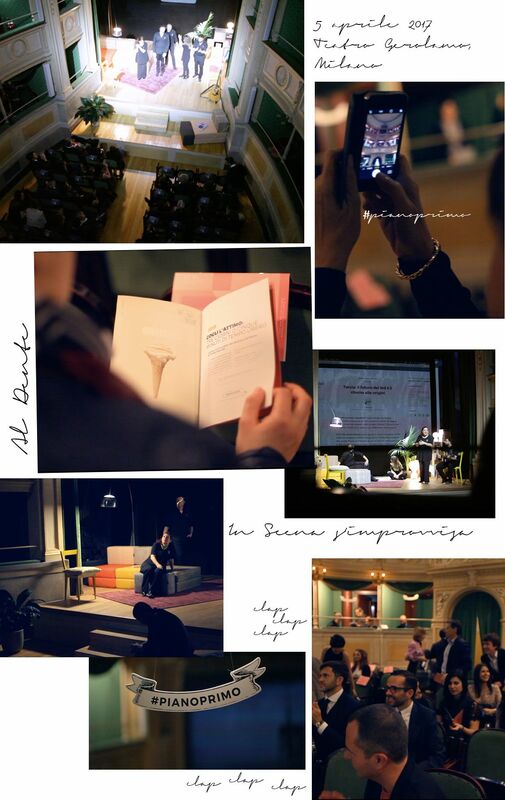 Our objective: to find the perfect venue for the LOVEThESIGN Fuorisalone event, where we’ll be presenting PIANOPRIMO. Tucked away behind the Duomo, our colleague Alessandra spots a little mid-nineteenth century theatre hidden inside a splendid ancient palace. We assemble in front and try knocking at the door. It’s opened and we go in: an auditorium of ancient green velvet seats, two tiers of boxes and a gallery, all newly-restored, and a small stage with a floor of long wooden boards. It's a magical place, closed up for more than three decades. It used to be called Piccola Scala. A dream. This is how we discovered the Teatro Gerolamo and - just as you did the other evening - we fell in love with it the moment we crossed the threshold. 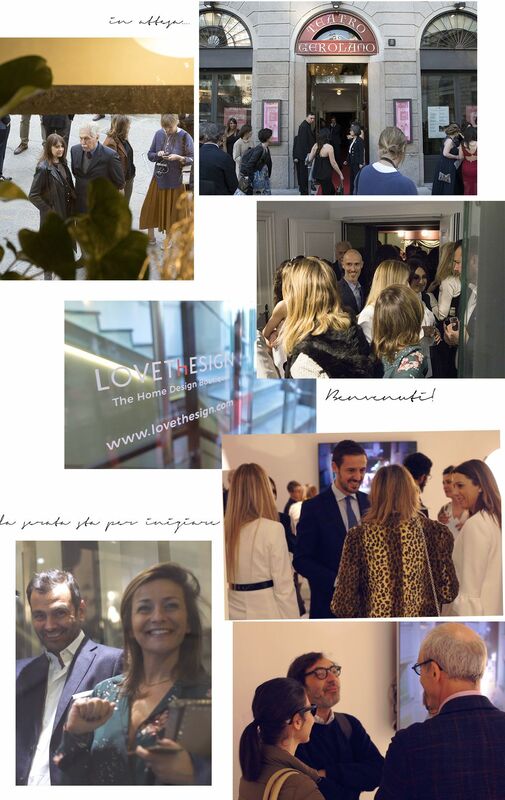 So we decided to organise a brief show - or rather, four shows - to talk to you about home decor, lifestyle and design, in the same way we discuss them in PRIMOPIANO: knowledgeably, informally and with a touch of irony. THE THEATRE IS SO ENDLESSLY FASCINATING BECAUSE IT'S SO ACCIDENTAL. IT'S SO MUCH LIKE LIFE. 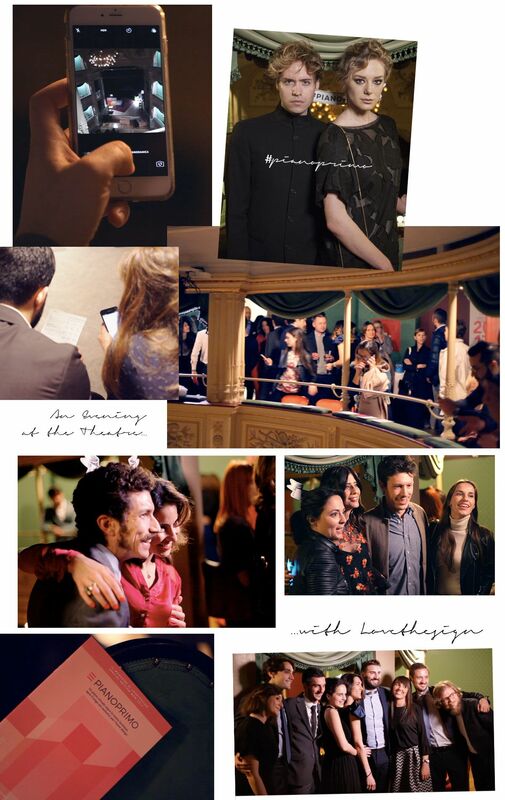 And that's how we decided to invite you to the theatrical debut of LOVEThESIGN, and you came, lots of you really came. And we enjoyed ourselves: together we laughed, fooled around and relaxed between improvisations and chats in the gallery, the clink of glasses and some delicious canapés. A stage, four shows, a little music and something to drink. There was an idea behind our event that brought us immediately into step with the team at Teatro Gerolamo. Fabulous venues like this are generally used as settings for occasions which are - and which are about - something completely different: catwalks and presentations. But to us it didn’t feel right to exploit the theatre’s charm for a purpose that, ultimately, would have been out of tune. TO MAKE GOOD THEATRE YOU HAVE TO MAKE LIFE DIFFICULT FOR THE ACTOR. And that’s why we decided to use the theatre as a theatre. During Milan Design Week. Now it sounds like a banal decision, but it wasn’t. It was a success, thanks particularly to you, who came to watch - sorry, to take part in! - the improvised shows, masterfully led by the Compagnia del Teatro del Vigentino under the guidance of Isabella Cremonesi. THE OPERA IS A PLACE WHERE A MAN GETS STABBED AND, INSTEAD OF DYING, HE SINGS. HEARTFELT THANKS FROM THE LOVETHESIGN TEAM! The Teatro Gerolamo was built in just a few months in 1868, and today it’s still the only theatre in Europe built specifically for puppet shows. Legend tells that the Gerolamo was designed by Giuseppe Mengoni, the architect of the Galleria Vittorio Emanuele, but it is in fact the engineer Paolo Ambrosini Spinella we have to thank for this Little Scala. Mengoni designed the piazza outside. 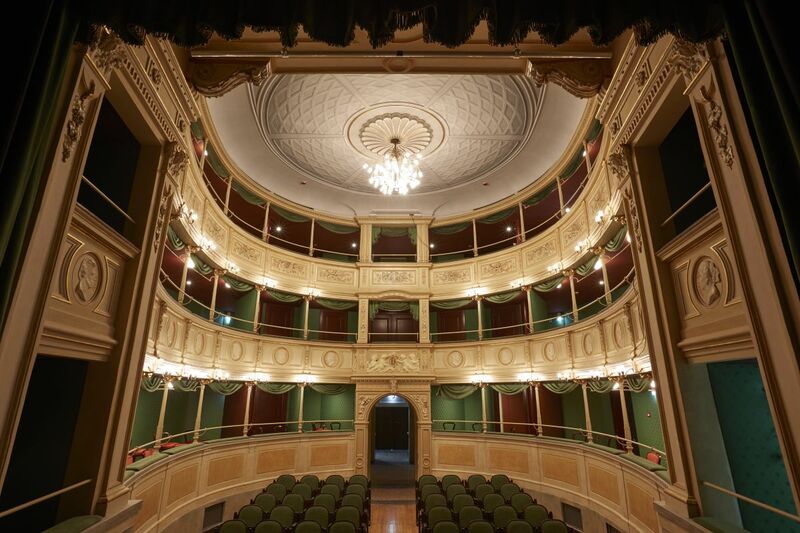 Discover the real, true-life story of the Teatro Gerolamo.